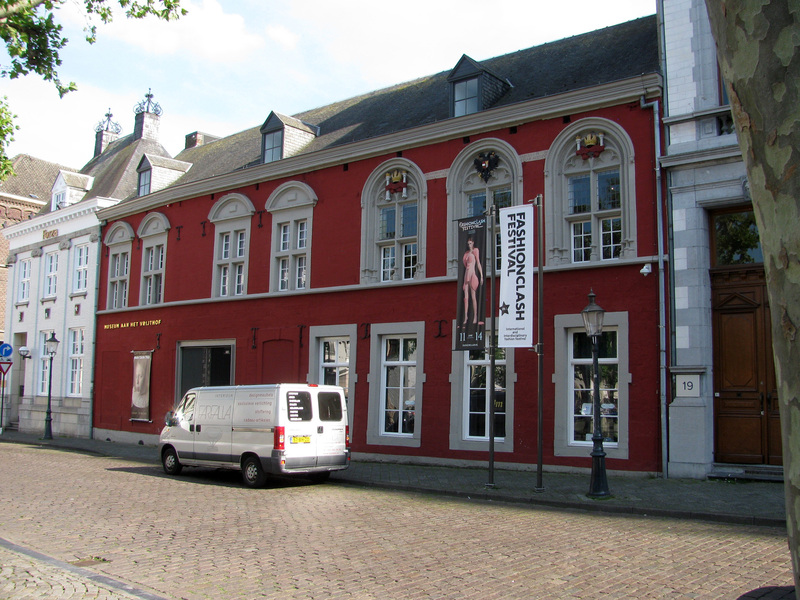 For most of the shows etc you need admission tickets that can cost up to 40 euros. 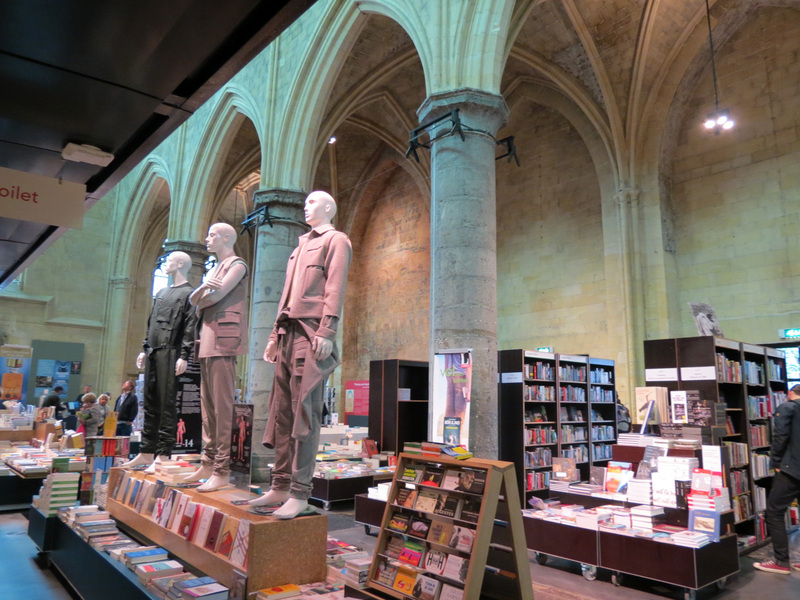 They will also have a display in the Museum aan het Vrijthof (in the old Spanish Government Building). There was a mini collection by local 3rd-year students in the Dominican Bookstore the day before we left. 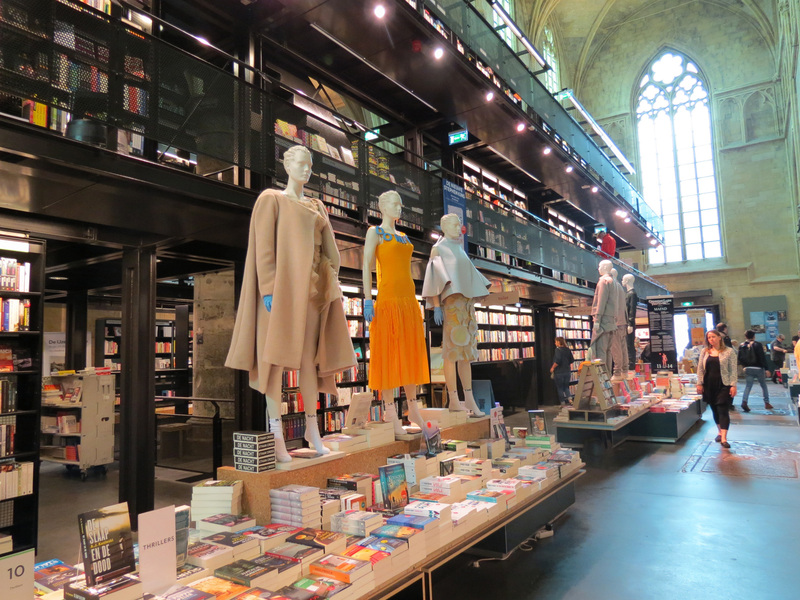 I’m not sure why the festival’s name is Fashion Clash but a few of the models I saw in the bookstore did seem a bit strange and jarring to me—I can’t imagine anyone actually wearing those items. So…a kind of clash. And certainly, for some people, the venue would be a cause for a clash! A double clash maybe? 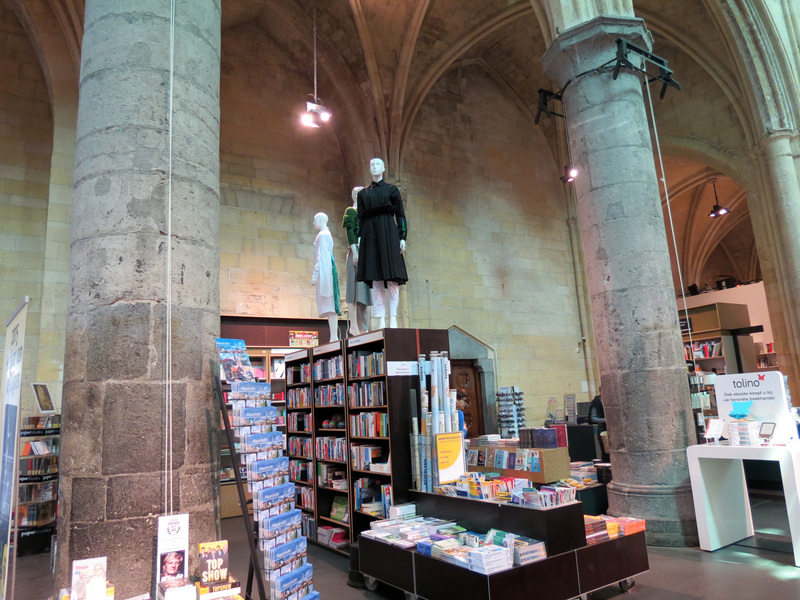 Clothes in a bookstore, and a bookstore in a church!